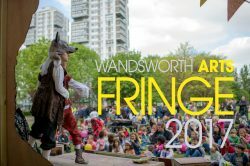 Wandsworth Arts Fringe (WAF) returns next year. Now is the time to register your interest in taking part in this amazing annual arts extravaganza! We are calling on all artists as well as venues to take part in next May’s borough-wide festival. The Fringe is a melting pot of creative activity and welcomes all kinds of artists, performers, arts organisations and any kind of group or venue with an interest in putting on arts activities and events. Part of Wandsworth Council’s arts and culture programme, WAF celebrates all art forms, from street performances to family workshops, exhibitions, music, dance and everything in between. It offers an excellent opportunity to try something new, to test new ideas, make new contacts and reach new audiences. Taking place in the most unusual places, the Fringe reimagines everyday spaces including high street businesses, pubs, places of worship, sports halls and even station platforms. If you have a space where something can happen and would like to make people look again at what you offer, then try something new and get involved now when artists are still looking for venues. 75% of WAF’s audience this year said it was the first time they had come to that venue. The festival is emphatically inclusive and offers development support to help realise ideas to excellent standards, including networking events, professional advice and peer support, as well as online toolkits and guidance. A small grants scheme is also available to give financial support to bring your idea to life. So the sooner you get involved, the more you stand to benefit. The first in a series of networking events will take place on Monday 26 September between 5 and 8pm at the gorgeous new Tara Theatre premises, 356 Garratt Lane, Earlsfield, London SW18 4ES. Interested venues, including local businesses, are invited to attend from 5pm, with artists joining from 6.30pm. Wandsworth Fringe Festival is coordinated by Wandsworth Arts Team, part of Enable Leisure & Culture, on behalf of Wandsworth Council and in collaboration with a steering group of local representatives and independent Fringe Producer, Cath Mattos who is also Projects Director at World Festival Network and World Fringe.